Step one in elevating your confidence level is preparing for the meeting. Have you done your homework? Do you know what this company is all about, what growth and expansion plans they have that may positively affect your career? Read all about it. Google the Internet, check out LinkedIn, go to their web site and study it from beginning to end, particularly the page titled "About Us." Here you will find valuable information about the company’s principals, its strength in the marketplace, locations, products and services. Take time to read through the company’s annual report. Also, if you know people who work for the company, conduct your own interviews with them with a goal of finding out about the company’s culture, its office or workplace environment and its professional "community." Sometimes the reason you are nervous about a job interview is your heart is not in it. Be brutally honest with yourself and determine if the job is a good fit for you, based on what you know about it before the interview. Remember, if you are hired this is the place you will spend a major portion of your time for the foreseeable future. Do you want to be here? If not, you should probably keep searching. Be realistic about the jobs for which you apply. You will go into the interview feeling more confident if you know you are qualified for the position. It is a mistake to waste the interviewer’s time and yours applying for a job that you are not ready to perform. In order to feel qualified, you must know yourself, your skills and your limitations. A skills profile is much like a resume, but the only one who sees it is you. Keep track of your relevant experience, training, education, strengths and accomplishments. Your skills profile should also include your dreams and goals. Seeing your aspirations on paper, right next to your listed abilities is a powerful experience. A skills profile can boost your confidence, keep you grounded in reality and remind you of the professional path that you have set for yourself. Update it regularly, and have it close at hand when you write resumes and cover letters. Even if it does not come naturally to you, the communication you exhibit in an interview differs from that which you are used to using with family and friends. In an interview you must put your best self forward, including the way you speak and the non-verbal communication you use (posture, gestures, facial expressions, etc.). Avoid the use of slang, be concise and make every word count for something. Make regular eye contact with the interviewer to demonstrate that you are fully engaged in the conversation. Be aware of your body movements, and avoid anything that may distract the interviewer from what you are saying. Common signs of nervousness include wringing hands, broad gestures with your arms, inappropriate laughter and lengthy, rambling answers to the interviewer’s questions. Remember that this meeting is all about selling yourself as the ideal candidate for the job. You can do that successfully by answering questions directly and honestly, and maintaining a professional presence throughout. Consider how good you feel about yourself when you know you look good. Feeling good about yourself is important when trying to demonstrate your best self to an interviewer. 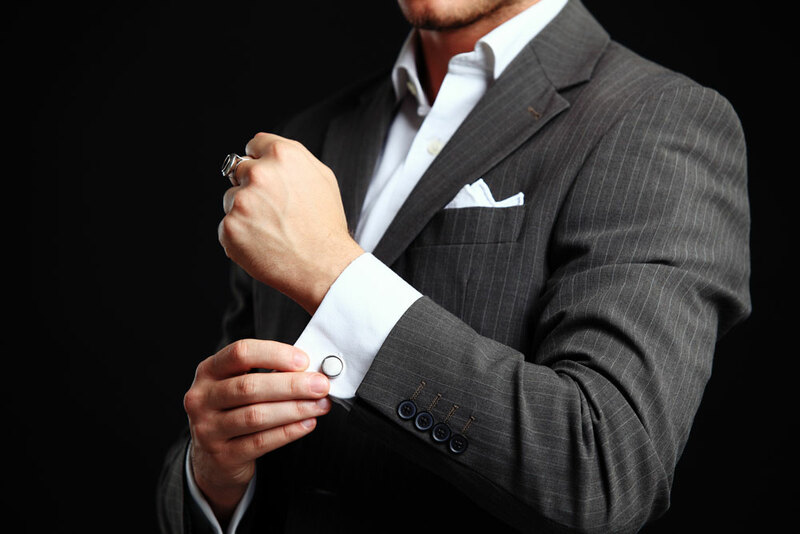 Spend some time preparing your clothing and grooming for the interview. Your appearance should not distract the interviewer. It should instead add to the professional, polished image you are trying to project. Sometimes this means wearing clothing that is not in keeping with your personal style. You can always get back to your own style after the interview. Dress conservatively. Remember the emphasis should be on your behavior and your communication. Take the interview on as a personal challenge and do your best to shine. Remember – a job interview is not a life and death situation. Do your best, but if you do not land the job, move forward and keep perfecting your interview skills until you find the right professional fit. This article was written by Paul A. Greenberg. It was first published in The New Orleans Times - Picayune, and is reprinted on this web site with their permission.